Member’s Info: Our goal at ASC Water Tanks & Pumps is to provide our customers with high quality rain water harvesting products – unparalleled by anyone in the industry. This incudes rain water tanks, water pumps and a range of related products. We strive to provide a solution for every home, farm and commercial site to offset the imbalance we as a nation have created in our water reserves. By taking initiatives now, we can help determine how scarce or expensive this commodity will be for future Australians. We hope our products will help win the battle against the drought and Global Warming, and provide the next generation with the same opportunities we have enjoyed. Member’s Info: Ron Astall has long pump industry experience including Engineering, Contract Management, Applications, Sales, Marketing and Quality Assurance; Process and Petrochemical Industries and the development and implementation of related QA and Contract Management Systems. Ron is a co-author of the PIA Pump Technical Handbook and is a regular trainer and speaker at Australian and international technical seminars. Member’s Info: Atlas Copco has introduced a range of dewatering solutions including diesel driven self priming pump skids, portable trash pumps and electro submersible dewatering pumps. Backed by Atlas Copco’s unrivalled reputation, worldwide support and ever increasing product range. Atlas Copco endeavours to become a successful alternate supplier within this market. Member’s Info: Australian Industrial Marketing is owned and operated by Keith Sanders, who has 30 years of experience in the Pump Industry in Australia and Asia Pacific region. We offer services in the following areas:- Business plans & strategy development Market research Out-sourcing Pump technology training programs. Member’s Info: Batescrew is an Australian owned family company manufacturing pumps, valves and self cleaning weed screens using Australian products. We manufacture line shaft driven high pressure and high flow pumps for the civil, agricultural and power industries. Our self cleaning intake screens and valves are used in industrial, agricultural and sewerage industries. Members Info: B Line Pumps supplies pumping equipment to “anyone-anywhere” from local to national and international. Servicing however is restricted to the Sydney metropolitan area. B Line Pumps have been in Sydney since 1995 however the Director, Brian Pritchard, has been in the pump industry since 1965. As well as supplying pumps Brian has lectured at universities in NSW and Victoria and is available to lecture at training programmes for industries which have pumps within their works. We will engineer a pump for your application. Member’s Info: From small domestic pressure systems to large industrial process pumps, Brown Brothers Engineers provide a full range of pumps and pumping solutions to meet your needs. Brown Brothers Engineers is the sole distributor in QLD, NSW, ACT, VIC and TAS for some of the world’s leading brand pumps including Lowara, Goulds and Hydrovar, and the national distributor for Layne Bowler, Sakuragawa, Hitachi, DG Flow and Saer. Our Australian operation not only includes the importation of a wide range of pumping equipment, but also the assembly, distribution, testing and custom-building of pump sets and pumping systems, together with installation and after sales service. 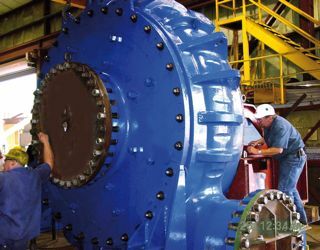 As one of Australia and New Zealand’s leading pump suppliers for over a century, we have gained a wealth of experience. We can guarantee that you will get the best pumping solutions the world has to offer because we only supply the world’s leading pump brands. Member’s Info: The Caprari Group is a leading international manufacturer of pumps for the integrated water cycle. Drainage water , Mining, Municipal, Fire and Agricultural pumps. Members info: We have a range of specially designed and manufactured woven layflat hose. Our layflat hose products have been developed to suit the gruelling Australian conditions. When you’re buying Crusader Hose, you can be assured that you are purchasing durability and reliability. Members info: ruction, Automotive, Mining, Marine aCummins South Pacific is a wholly-owned subsidiary of Cummins Inc. A global power leader, Cummins Inc. is a corporation of complementary business units that design, manufacture, distribute and service diesel and natural gas engines and related technologies, including fuel systems, controls, air handling, filtration, emission solutions and electrical power generation systems. Cummins is the world’s largest independent designer and manufacturer of diesel engines. Headquartered in Columbus, Indiana (USA), the company employs around 54,000 people worldwide and serves customers in 190 countries through its network of more than 600 company-owned and independent distributor facilities and around 6,500 dealer locations. Cummins South Pacific has over 1,600 employees spread through out our network of 35 branches. We support customers across; Agriculture, Construction, Automotive, Mining, Marine and Power Generation market segments.nd Power Generation market segments. Member’s Info: Established in 1934, Davey manufactures pumps and pressure systems for use in rural and domestic applications. Davey prides itself on distributing products to over 60 countries. Their manufacturing and ISO quality assurance systems are aligned with a process of continual improvement to guarantee consistently dependable, quality products at value for money prices. Member’s Info: We have branches in Perth, Melbourne, Sydney and Brisbane. 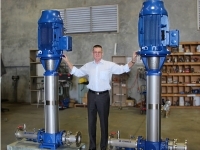 In 2001 we commenced manufacturing our Australian designed Flo-Max Submersible and Turbine Pumps in our Sydney plant. All our offices can supply the complete range of the Dynapumps products. We have a team of engineers that provides technical back up for all offices as well as a large manufacturing base for pump products and vacuum systems. Member’s Info: EMTIVAC is an Australian owned engineering business specialising in process & industrial vacuum pumps, equipment and systems. We are both a competitive supplier of top quality vacuum pumps, blowers and centrifugal pumps as well as an experienced system designer and manufacturer. We are renowned for a unique ability to solve problems that other companies can find too difficult. Members info: Water Pumps Now are the importer of High Quality Water Pumps. We stock Caravan Water Pumps, Boat Water Pumps including Deckwash Pumps, Motorhome Water Pumps, we even have a large range of Agricultural Water Pumps for general and farm use as well as Chemical Pumps. We have 12v Water Pumps, 24v Water Pumps and even 240v Water Pumps designed for Australian Power Supply. Member’s Info: Flowserve Pump Division Australia (formerly Thompsons, Kelly & Lewis Pty Ltd) manufactures centrifugal slurry pumps and water pumps, and packages API and ANSI pumps, at its ISO9000-2000 certified factory at Castlemaine (Vic). FPDA has sales offices, pump repair workshops and FPD Alliance distributors located in all major Australian and New Zealand industrial centres. Member’s Info: Flowserve is the recognized world leader in supplying pumps, seals, valves and associated services to the power, oil, gas, chemical, mining and general industries. Every day our solutions move even the most hazardous fluids and gases safely and securely. Flowserve represents not only a collection of trusted products, but also a single source that can reduce your total cost of ownership. Instrumental in this process is the Flowserve line of mechanical seals, support systems and services for pumps and other rotating equipment. These technologically advanced products assist our customers in attaining their goals of increasing reliability and improving process management. Quick Response Centres are located in Seven Hills Sydney, Henderson Perth, Darwin, Gladstone and Auckland. Member’s Info: Franklin Electric, a technical leader in electric motors, drives and controls, is the world’s largest manufacturer of submersible water and fueling systems motors, a manufacturer of underground fueling systems hardware and flexible piping systems and a leader in engineered industrial motor products. Member’s Info: Pump sales and Repairs. 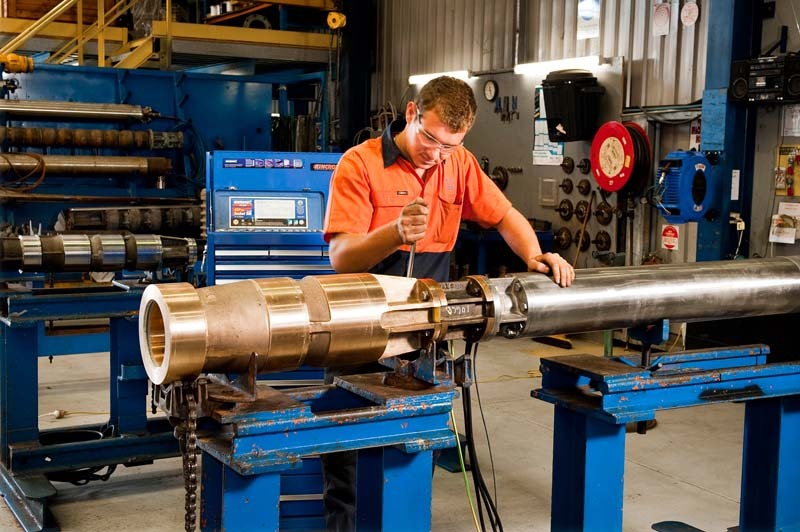 We have a well equipped workshop in Geraldton where we can repair most makes and models of pumps at a reasonable cost. We carry a large range of seals and other spares to facilitate a rapid response. We are also agents for Grundfos, Franklin, Ebarra, Sulzer, , Lorentz and Aussie Pumps and can supply at a competitive price. Solar Power and Pumps, We can design and install Grid connect or Off Grid solar power, supply and install battery backup systems for grid support – for those times when the grid is unavailable or just as solar storage. We can also design and install Solar pumping systems to replace windmills or for new or old bores and carry a range of solar pumps and controllers as stock. We can also design and install small and large scale solar irrigation systems for the operation of Center Pivots, Drip or any other system. Members Info: For over 30 years, H.E Brehaut Pty Ltd has been a trusted name in the irrigation and cooling tower industry for supplying quality power transmission products manufactured by Amarillo Gear Co in Amarillo, Texas. Our experience and expertise with Amarillo gear drives is unparalleled in Australia making us the only choice worth considering. Member’s Info: Regardless of your industry you can rely on Hydro Australia to upgrade, retrofit or repair your pump. With our state of the art equipment and trained service technicians we can improve the reliability and longevity of your pump so you can improve the performance of your business. Member’s Info: Hydro Innovations is the exclusive distributor of Gorman-Rupp (USA) pumps in Australia. Gorman-Rupp are the world leaders in self priming centrifugal wastewater pump technology, however they also manufacture the best fuel pumps, gear pumps, prime assisted pumps and packaged pump stations. We have staff and offices based in Sydney, Melbourne, Brisbane, Perth and Northern NSW, along with highly trained representatives in South Australia and Tasmania.Our mission is to provide our customers with the very best and most innovative pump solutions, using the highest quality products, and supported by the best service in the industry. With over 50 years combined experience in applying, selecting and troubleshooting Gorman-Rupp self priming pumps, we are also in a good position to help design the best and most cost effective fluid transfer systems for our customers. We package Gorman-Rupp pumps up with locally sourced electric motors or diesel engines, have an in-house design team working with the latest design software, and we laser align all pump-sets as part of our QA procedures – ensuring our customers receive the very best pump/s for each application. In keeping with our philosophy of only using the highest quality products, and delivering the best solutions, we also represent RamParts Pumps (USA) and Edur Pumpenfabrik (Germany). Member’s Info:Blakers Pump Engineers (BPE), AS/NZS ISO 9001: 2000 accredited, partners with global pump companies and packages, tests, rebuilds pumping equipment to AS, ISO, ANSI & API standards. Locations: Head Office/Works/Test Bay – Wangara (WA), Branch Offices: Melbourne (VIC), Sydney (NSW) and Brisbane (QLD); Service Centres: Wangara (WA) & Gladstone (QLD). Member’s Info: Jacmor Engineering – Australia are leading suppliers of THORDON Polymer Self Lubricating Pump Bearings. Widely used by leading Pump manufacturers Australia Wide . 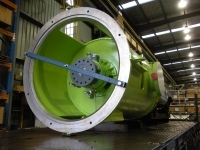 We provide technical and installation support and fully finished bearings ready for installation are supplied from our state of the art Workshop based out of Melbourne -Australia. Member’s Info: We provide the most complete selection of mechanical seals, gland packing, filtration systems, bearings, couplings and artificial lift equipment. Our solutions are backed by the largest global service network in the industry. We combine technical expertise and innovation, geographic reach and superior quality standards, and customer service and responsibility to provide the reliability, efficiency and constant uptime on which our customers depend. We partner with our customers around the world to deliver innovative solutions that improve process and equipment reliability through our relentless focus on quality, a passion for service and uncompromising commitment to our people, safety, the environment and ethical business practices. The Kelair-Blivet Packaged Sewage Treatment Plant is a stand-alone unit comprising primary settlement, aerobic zone, final settlement and sludge storage, with sizes suitable for 5 to 500 people. Member’s Info: KSB Australia is part of the international KSB group. In Australia and New Zealand we have approximately 120 employees and a vast network of branch offices and distributors. Whatever your needs are, KSB staff are trained to see your project through. They’re fast, flexible and efficient. Water transfer, Sewer bypass, Sewage and slurry transfer, Temporary aeration, Irrigation, De-sludge treatment of ponds and tanks, Circulation of chemicals, Standby fire pumps, High pressure jetting pumps, cleaning and de-scaling, Emergency standby pumps. Members info:Monkey Media is a unique hybrid, combining the advantages of being both a trade publisher and a full-service marketing agency, to ensure our clients get the best of both worlds. As the publisher of leading brands Pump Industry and Utility magazines, both of which are integrated across print and digital, Monkey Media has unparalleled knowledge and experience of these sectors. Through our made-to-measure arm we are able to offer a full range of customised solutions, putting our experienced editors, designers and marketers to work for you. Members info: We provide complete water management solutions for residential and commercial clients and have been doing so since 2003. Whether you have too much water, requiring dewatering or drainage systems, stormwater improvement or underground storage to harvest it. Or, you don’t have enough water, requiring irrigation, pumping, water treatment, PLC and smarter water management. Our focus is to make water work. We are Sydney based, servicing the Greater Sydney region to Newcastle, Hunter, Bathurst and Wollongong with over 30 field staff on hand for reactive service or new construction in pumps and water treatment. Member’s Info: NOV is a leading solutions provider of integrated production and process solutions to a variety of industrial markets. We combine our expertise of engineering with quality products, a global footprint and aftermarket support to deliver solutions that meet our customer’s requirements. As one of the original licensees to manufacture progressing cavity (PC) pumps, MONO has become a global provider of PC pumps and has expanded our product range to include solar solutions, grinders, screens, pressure sewer systems and packaged solutions across a wide variety of industry sectors. We bring energy and integrated expertise to our strong brands to deliver high-quality, technology driven equipment, service and support to various industries fundamental to their lives. Member’s Info: NETZSCH Australia is part of NETZSCH Pumps & Systems from Germany. 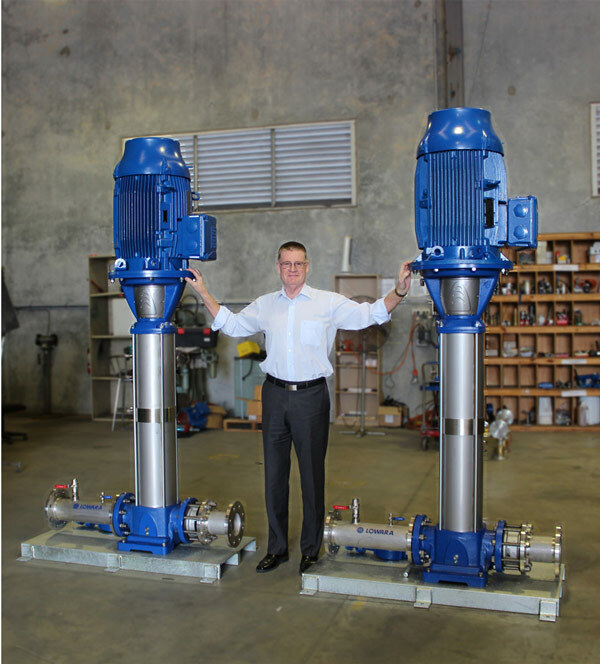 For more than 60 decades, NETZSCH has been developing and building high-quality and innovative pump systems worldwide and now has offices in NSW, Queensland, WA and Victoria. The world’s largest manufacturer of progressing cavity pumps, NETZSCH has an unrivaled range of positive displacement pumps including NEMO® progressing cavity, TORNADO® rotary lobe, multi screw and grinding systems. NETZSCH product range covers everything from the smallest dosing pumps conveying a few millilitres to large pumps for up to 1000m³/h. NETZSCH pumps are designed specifically for the most demanding pumping applications in mining; oil & gas; waste water; energy; chemical, pulp & paper and food & pharmaceutical industries. NETZSCH is the only manufacturer in the world currently manufacturing industrial rotary lobe and progressing cavity pumps, as well as grinders and screw pumps. All are entirely NETZSCH products, customers can rely on totally impartial advice as to which pump system is better for each application. Member’s Info: Northern Diesel & Hydraulics has specialised in servicing and maintaining Fire Pumps since 2001. We work only for Fire contractors and their suppliers. We are base in Brisbane and cover a territory from Coffs Harbour, Bundaberg, Roma and everywhere in between. We have four service vehicles and BSA licenced staff. Pentair is a global diversified operating company serving the commercial, industrial, municipal and residential markets through innovative solutions under strong brand names. Pentair’s Water Segment – including global Filtration, Flow Technologies, and Pool businesses – helps deliver safe, clean water to people who need it. Members Info : Pioneer Pump Is Performance Through Innovation. Member’s Info: The Pomona pump range was created in 1942 to meet the demands of the rapidly-expanding Australian agricultural industry. Because Pomona pumps could be readily applied to any installation – boreholes, rivers, dams or streams – our early pump installations were an immediate success. Today we supply a broad cross-section of industries across Australia with our tailor-made pumping solutions. Pomona’s range of turbine, propeller and non-clog pumps allows our engineers to create the best possible pumping solution for any given application, guaranteeing each pump is correctly engineered for optimum performance. Pomona Pumps’ expertise and experience assures you of sound advice, quality workmanship, effective, economical pumping, and a genuine ongoing interest in your Pomona equipment wherever it may be. Member’s Info: For over 20yrs Prime Pumps has been designing, building & maintaining pumping systems. From sales to service & routine maintenance, Prime Pumps can deliver the total solution for all applications. The best pumping system in the world is worth nothing if you can’t depend on it. With a fleet of over 20 mobile workshops, $50M P/L, $10M Professional Indemnity insurance, a team of 50+ qualified tradesman, all Greencard & confined space certified. 24 hours a day, seven days a week, our team works to ensure you receive Constant Pressure – Zero Stress. Member’s Info: Pump Power Australia has been proudly serving the pump industry for over 30 years. We engineer, supply, install and service pumping equipment for the Oil & Gas, Power, Petrochemical, Mining, Food, Paper, Building Services and Water/Wastewater industries. We provide on and off site maintenance, substantial spare parts inventory, rapid dispatch for minimum turnaround time and tailor made service agreements. Members info: Regal Australia Distribution brings together the strength and experience of three of Australia’s leading suppliers of engineered industrial products; CMG, OBA and Transmission Australia, along with well established brands such as Marathon Motors & Generators, Fasco and Unico to name a few. Member’s Info: Established over fifty years ago and has two major Divisions. The “Regent Pumps” division deals in end suction, in line and self priming centrifugal pumps, bareshaft, base mounted and close coupled. Submersible and column sump pumps. The “Advance Pressure Technology” division specialises in truck or trailer mounted drain and sewer cleaning and vacuum-recovery machines. Member’s Info: This firm is the manufacturer’s representative for Ruhrpumpen centrifugal pumps and Wepuko triplex plunger pumps. Designs comply with API / ANSI / ISO / NFPA standards. Ruhrpumpen manufacture centrifugal pumps for -Hydrocarbon – Petrochemical – Municipal – Power Generation – Mining – Firewater industries. Wepuko manufacture high pressure pumps specialising in Pipeline injection, CO2 sequestration & injection, Descaling and Hydraulic press drives. Members info: SKF has been a leading global technology provider since 1907. Our fundamental strength is the ability to continuously develop new technologies – then use them to create products that offer competitive advantages to our customers. We achieve this by combining hands-on experience in over 40 industries with our knowledge across the SKF technology platforms: bearings and units, seals, mechatronics, services and lubrication systems. Our success is based on this knowledge, our people, and our commitment to SKF Care principles. Members info: A progressive family owned Queensland business incorporated in 1944. Specialist Fire Pumpset manufacturer, leading supplier to the Plumbing & Hydraulic services trades in the high rise and commercial buildings sectors. Specialised Service Division to back all of our products. Member’s Info: Sterling Pumps are a 100% Australian owned and operated company. They are specialist manufacturers of Turbine Pumps and Submersible Pumps for the Irrigation, Process and Mining industries. Stirling are also manufacturers of end suction pumps for mining, process, fire & irrigation industries. The company is well skilled in the manufacture of pumps to suit individual requirements. Member’s Info: As we are distributors for quality equipment and sealing products it gives us the unbiased flexibility to select and quote the equipment which best suits your needs. We also believe in relationship marketing where we aim to foster a personal relationship with our customers and deliver value above and beyond the actual product. Member’s Info: Strategic Achievement offers training and consulting services. Our two training courses; “Pumping Fundamentals” and “Advanced Pumping” have been running for many years and receive excellent feedback from attendees. They are held on a regular basis in all capital cities of Australia and in Singapore and Malaysia. Inhouse courses can be tailored for an individual organisation. Members Info: Submersible Motor Engineering designs and manufactures Submersible(6″-36″) and Subsea Electric Motors. Our range includes High and Low Voltage Motors in a variety of Materials. SME also offers Repair, Rewind, Modification and Technical Support Service in Australia, USA and the UK. Our Facilities ensure we can handle any job we are confronted with regardless of manufacturer. Our purpose built Testing facility also includes a full Pump test rig for Reliability and Performance testing of a diverse range of pumps. Member’s Info: We offer a wide range of pumping solutions (API 610 /ISO/ANSI) to the following selected markets – Oil & Gas, HPI, Power, Pulp & Paper, Food, Mining & Fertilisers. Our sales and service facilities are based in Melbourne, Queensland and in Perth. Sulzer Pumps combines more than 135 years of experience in pump development and manufacturing with a deep commitment to fully understand the needs of our customers. Members info: Superior Pump Technologies specialise in FMC Technologies piston and plunger pumps and pressure regulating valves, Waukesha Cherry-Burrell sanitary pumps and other SPX products, Graco air operated pumps and process equipment, Vogelsang lobe pumps, FMC Invalco flowmeters, Grundfos range of industrial products. We can also help with other brands such as Weatherford, Gardner Denver, NOV, Gaso Wheatley, Myers, Fristam and many other brands. We service drilling, mining, oil and gas, food and beverage, pharmaceutical, water & wastewater, sewerage, chemical and other industries and can help with design and manufacture of custom built pump skids. Members info: Techtop Australia is a nationally based electric motor company with an extensive range that covers single and three phase TEFC electric motors in both Aluminium and Cast Iron. Techtop are the exclusive distributor for all Varvel gearboxes. Our range also includes single stage helical gearboxes, variable speed drives, stainless steel motors and gearboxes. largest privately owned companies Electrical Motor Company. With a turnover in excess of US$3 billion, a strong presence throughout Asia-Pacific and the Americas, TECO is a global company and market leader in Australia and Asia. TECO global offices employ more than 25,000 people. We have multiple modern factories, manufacturing many thousands of motors per day with extremely high level of automation and robotics. TECO also manufactures variable speed drives, motor starters and contactors, complemented the electric motor business enabling TECO to offer our customers complete motor solutions. As the market leader, TECO Australia is able to offer a complete range of low to high voltage, high efficiency and hazardous area motors, built tough to withstand harsh industry and mining conditions. Member’s Info: United Pumps Australia (UPA) is a wholly Australian owned designer and manufacturer of engineered “United” heritage centrifugal pumps to the latest edition of American Petroleum Institute standard API 610. UPA’s major focus is manufacture and service of pumps for offshore oil/gas, petrochemical, onshore oil/gas processing, oil refining facilities, crude oil and petroleum product pipelines. Members Info:Water Wise Consulting specialises in the design of irrigation and water management systems for landscape and sports turf industries in the public, private sectors, domestic and golf sectors. Members Info: Waterdos Australasia is an Australian owned company that prides itself in supplying innovative solutions for water treatment and industrial applications like Mining, O & G, Wastewater, Petrochemical, Municipal, Energy and more. A dedicated and experienced team with over fifty years of knowledge, we are key distribution partners for Pulsafeeder and many other brands of pumps and technologies. Members Info: Since beginning operations 49 years ago, WEG has become a leading global supplier of motors, drives, controls, transformers, and generators, implementing advanced procedures and state-of-the-art technology in all of its production processes. The combination of skilled staff, and continually updated manufacturing methods and processes, in addition to high-tech laboratories, ensure that WEG products are suited to the widest range of applications and operating environments worldwide. Continuously seeking innovation, WEG has just introduced its brand new W22 Electric Motor. A product that can operate the most of its designed lifetime consuming the minimum possible energy with high levels of productivity operating continuously without unplanned stops and with top performance, thus generating the maximum value to the user. W22 industrial and mining motors are available in two efficiency levels, High Efficiency E3 and Super High Efficiency E3+, thus guaranteeing energy savings and reduced payback time. Our motor manufacturing capacity is one of the largest in the world, producing over 68,000 motors per day, equivalent to approximately 11.5 million per year. We employ over 22,000 people worldwide, with over 3,000 specialist engineers to support our customers from design, development, application, through to commissioning. With factories,branches and technical services located around the world WEG offers a complete solution from small systems through to complex integrated projects. Member’s Info: Our new head office in Brisbane features a modern and spacious 1,800m2 ware housing facility and offices. A brand new 18 person dedicated training room has been installed to conduct presentation and training for: consultants, clients, end users etc. We have found this best way to demonstrate why Wilo should be your first and only choice when it comes to your pumping systems, and also to show the European trends happening right now, which will have a great impact on the way pumps are sold and used in the future, especially with high efficiency pumps. We encourage you to contact us at Wilo, and talk to us about your next pumping project, our friendly and highly trained staffs are more than happy to assist you in the design, installation and servicing of your Wilo products. Member’s Info: “Xylem Applied Water Systems is part of the Xylem Corporation and provides its customers with the global leading pump brands of Lowara, Goulds Water Technology, Hydrovar. Vogel, AC Fire, Bell and Gossett and Centripro to name just a few. Innovation and technology centers located in countries around the globe ensure all our products meet the needs of customers. These brands are household names across the world and together they bring to the market a product range extending from large flood control pumps to small domestic pumps”. Members info: 43South is a New Zealand owned, customer focused company providing dependable and reliable pumping products – proudly distributing Pentair, Onga, Southern Cross and Caprari throughout New Zealand and the Pacific.